There’s no better time than right now to test-drive the new 2018 Hyundai Santa Fe Sport. At Lithia Hyundai – your Hyundai dealership in Reno, we have an extensive selection of new Hyundai Santa Fe Sport models available to choose from, and you can take any one of them for a spin at our Reno, NV car dealership. As one of the premier choices among vehicles in the segment, the Hyundai Santa Fe Sport offers much in the way of versatility and choices. The 2-row Hyundai Santa Fe Sport comes in 3 trims: Santa Fe Sport, 2.0T and 2.0T Ultimate. All of these choices and more are available at our dealership in Reno. Among the many reasons why you should stop in for a test drive, 3 stand tall above the rest. The quality of the interior cabin of the 2018 Hyundai Santa Fe Sport is evident from the moment you step inside. You’ll notice high-quality materials decorating the interior in the standard trim. You can opt for available features in higher trims such as leather-trimmed seats and accents. The Hyundai Santa Fe Sport also provides 35.4 cubic feet of cargo space behind the second row. The fun doesn’t stop there, though. The standard trim is armed with a 5-inch infotainment display, a 6-speaker audio system and more. Drivers can also opt for available features such as a 7-inch touchscreen display that has Apple CarPlay™ and Android Auto™, a pair of features that allow for easy smartphone integration on the fly. You can experience these features and more by visiting Lithia Hyundai of Reno for a test drive today. If you’re seeking efficient fuel performance, you’re in the right place. The standard 2018 Hyundai Santa Fe Sport earns an EPA-estimated 21 MPG in the city and 27 MPG on the highway. For comparison, the Buick Enclave earns just 18 MPG in the city. This standard and efficient engine on the Hyundai Santa Fe Sport generates 185 horsepower behind the 2.4L 4-cylinder engine. If you need to add another kick to your daily drive, opt for the available turbocharged 2.0L 4-cylinder engine that pumps out 240 horsepower. This powertrain provides snappy acceleration to go with an EPA-estimated 20 MPG in the city and 26 MPG on the highway. Experience this power for yourself by visiting Lithia Hyundai of Reno for a test drive today. As fun as the 2018 Hyundai Santa Fe Sport is to drive, it makes sure that you’re safe every step of the way. The 2018 model earned a Top Safety Pick+ designation from the IIHS, particularly because of its ability to prevent frontal collisions with the available Automatic Emergency Braking System. The accolades don’t stop there; the NHTSA awarded the Hyundai Santa Fe Sport a perfect 5-star safety rating. That’s safety you can rely on. When you drive the Hyundai Santa Fe Sport, you’re covered in several aspects of safety. For example, available Blind Spot Detection makes sure that changing lanes is a safer experience. When you’re not trying to switch lanes, available Lane Departure Warning keeps your vehicle in check when you start to wander. A plethora of other available safety features such as Rear Parking Sensors and Rear Cross Traffic Alert keep you safe no matter where you go. Drivers in Sparks, Carson City and Reno, NV can take advantage of our large inventory of new 2018 Hyundai Santa Fe Sport models by stopping by for a test drive. 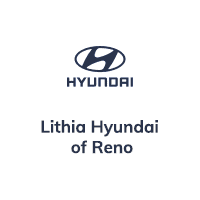 Visit Lithia Hyundai your Reno car dealership to get started today!